Australian engineer and designed for the best drying result. Eliminate scratches and swirl marks that you receive when drying with a chamois.... while achieving a drip free finish 80% faster than the conventional way!!! Meet the next Evolution in Car, Marine and Bike drying is here! No more water drips and most importantly a spot and streak free finish. 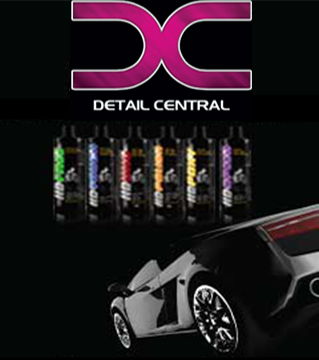 Here at Detail Central are always looking for the best products available to supply to our customers. After much stringent testing we would like to welcome the Bigboi Blow R's range to the DC family. Bigboi is an Australian designed and engineered product made with one goal and that is to provide the best drying result with the elimination of scratches and swirl marks associated with drying using mechanical means while achieving a drip free finish 80% faster then the conventional way. Bigboi is the next evolution in Car, Marine and Bike drying.